Charles Sturt University (CSU) combines nearly 120 years of education and research knowledge with a strong focus on professional skills and a mission to serve students and communities. On campus teaching and research facilities are state of the art, and we reach out across Australia and the world as a leading provider of online education. CSU is a leading player in international research in ethics, theology, governance, security, water, food, agriculture, education and the environment through a number of cross-institutional and collaborative research centres. CSU has a diverse academic profile. In 1998 CSU joined with the NSW Police Force to provide all academic training for police recruits, and another door was opened with the establishment of a new campus in Canberra to house the Australian Centre for Christianity and Culture. The University’s theological and religious teaching has since expanded to include formal studies of Islam and Classical Arabic through the Centre for Islamic Studies and Civilisation in Auburn. CSU also offers a postgraduate program in Wiradjuri language, culture and heritage. The combined focus on services to the community and practical learning experiences for students has led to the establishment of several clinics and enterprises, including Dental and Oral Health Clinics, Community Engagement and Wellness Centres, a Veterinary Teaching Hospital, Equine Centre and Veterinary Diagnostics Laboratory, and a commercial Winery. CSU is committed to excellence in research, identifying and supporting areas and projects which allow for the undertaking of internationally competitive research and research training. Read more: About Research at CSU. The University invests its resources in areas of proven and potential strength, significant to the University's mission. Such areas provide particular depth of academic and research capability to offer quality research and research training opportunities to staff, students and communities, including partners in industry, the professions and the communities of inland Australia. In recognising the complexity and multi-disciplinary nature of issues confronting society, the University is committed to supporting collaborative and interdisciplinary research. In line with this approach, CSU has established a number of research centres, including some strategic alliances with industry and state departments. Read more: Research Centres. CSU celebrated 25 years as a university in 2014. Since its establishment in 1989, CSU has grown to become Australia's largest regional university and the country's leading provider of distance education. The University’s origins date back to the establishment of Experimental Farms in Bathurst in 1895 and Wagga Wagga in 1896, and its history includes the development of Teachers Colleges on those sites in Wagga Wagga in 1947 and Bathurst in 1951. The growth and evolution of these institutions led to the formation in 1989 of CSU, which incorporated what had by then become the Mitchell College of Advanced Education at Bathurst and the Riverina-Murray Institute of Higher Education at Wagga Wagga. Read more: 25 year anniversary.  Charles Sturt University has 10 data records in Research Data Australia, which cover 34 subjects areas including INFORMATION AND COMPUTING SCIENCES, LIBRARY AND INFORMATION STUDIES and EDUCATION and involve 1 group(s). All of the information provided by Charles Sturt University can be accessed from the box on the right hand side of this page.